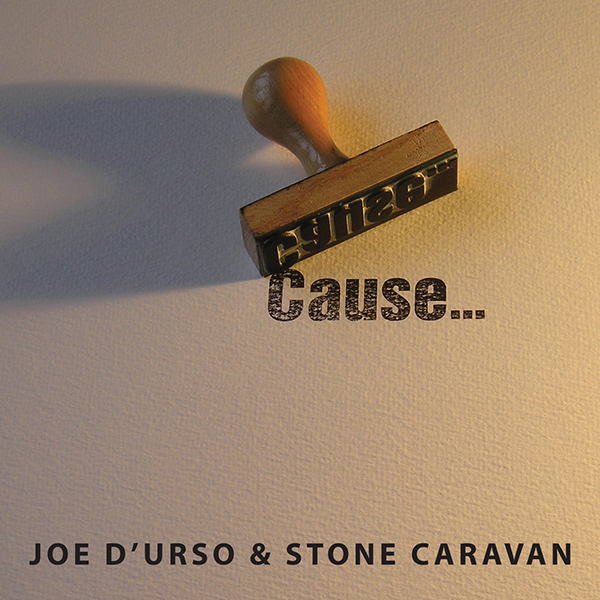 JD&SC's 10th CD, "Cause..." (SCR/Schoolhouse Records) includes 16 songs divided into Side One and Side Two with topics ranging from friendship, war, marriage, oil, soul searching, politics and lost love. As in past offerings, D'Urso mixes his writing and music with full-out rockers and quiet observations. "Cause" was recorded with more of a live, garage rock feel than previous offerings and is quite unique as it's "narrated" by wise musings/introductions by the late Harry Chapin. Besides 13 new D'Urso originals, JD&SC take on John Stewart's 1979 Top 5 hit "Gold", Bob Dylan's "I Shall Be Released" and Chapin's "Taxi".